I don't know about you folks, but I don't think I could possibly be more excited for Pikmin 3 right now. Yesterday I had a chance to get a full hands-on with the game at the Nintendo of America offices for an hour-and-half playthrough of the single-player campaign -- or "Story Mode," as it's called -- and I came away laughing heartily with a big dumb smile on my face. 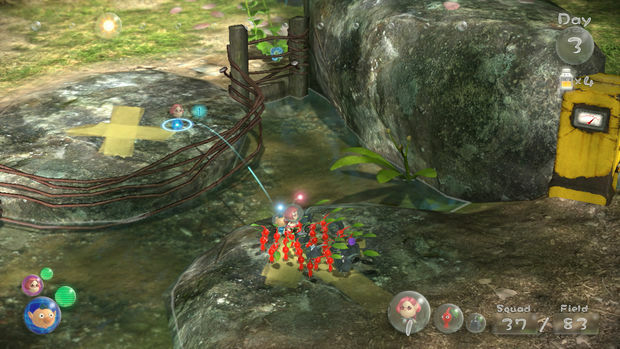 Pikmin 3 is gorgeous, adorable, strategic, fun, and surprisingly ... quite gruesome. 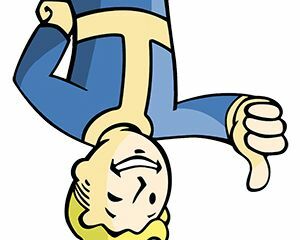 But what really makes it such a charming game are the excellent little touches that Nintendo has included to both gameplay mechanics and graphical sheen. 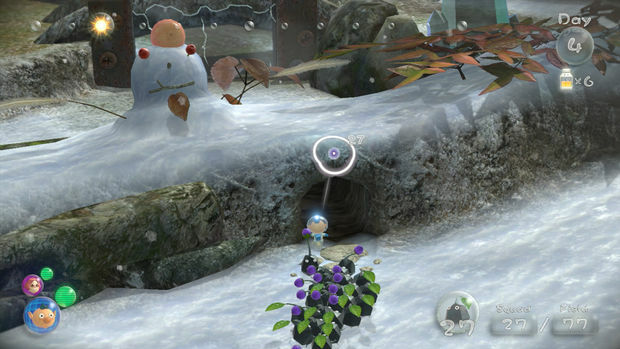 Pikmin 3 starts with a horrible accident, as often happens in the Pikmin series. In 20XX, the planet Kopai is on the brink of extinction, with dwindling food supplies due to a lack of planning. In an effort to find another planet with the necessary resources, the inhabitants send out unmanned scouts to neighboring regions of space. When they receive a signal of another planet with possible resources (PNF404), they send out three intrepid explorers. Unfortunately, just as the ship is finally about to land, it crashes and shoots Charlie, Brittany, and Alph to different sections of the planet. Your quest begins as Charlie awakens on a snowy tundra filled with giant mushrooms. 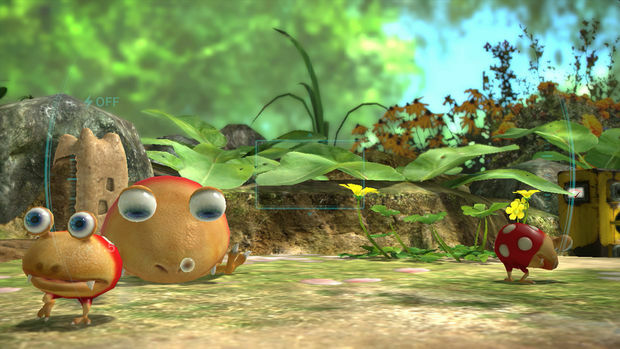 Your first encounter with Pikmin are those of the yellow variety, and through humorous dialogue and adorable cutscenes, Charlie is acquainted with the little guys who he will lead further into the planet's darker regions. The beginning section with Charlie serves as a tutorial of sorts, and it teaches you how to use your controls to whistle for the Pikmin to follow you, to throw them at things, and to disperse them. I was told that Nintendo has really stressed and encouraged the use of the Wii Remote and Nunchuck with the GamePad acting as a supplementary device, and after remembering the excellent controls in Pikmin 2, I could immediately see why this was still the preferred control method. Of course, both GamePad with TV and off-screen GamePad control methods are available, and the off-screen mode seems to work just as intuitively as expected. Pretty soon I was busy taking down mushrooms until I was urged to keep moving further in the interest of time. I went through a little cave area where enemy creatures hid in the dark until Charlie threw some Pikmin at the glowing mushrooms nearby, activating their glow and causing damage to the enemy creatures. After this, Charlie rounds a corner and comes upon something ominous that surprises him, at which point the game switches to the next character. You are then introduced to the young Alph, who has landed in a more tropical setting. Without spoiling too much, this area is filled with flowers, butterflies, and plenty of Bulborbs. This is also near where you acquire Brittany, and the game really begins to open up. With two or even three commanders, the puzzle-solving elements of each level become ever more complex. Just as in earlier Pikmin games, you switch between your Pikmin with different elemental powers to solve area puzzles, but now you also switch between two or three commanders, who can help by getting tossed up to hard-to-reach areas and then tossing their Pikmin even further, or else just splitting off and allowing the player to multitask and collect objects and fruit for further propagation and survival before the day ends. Early on, you are introduced to the rock Pikmin. These guys are pretty great, as they cause a lot of damage when thrown -- especially to crystalline or glass objects and walls. Curiously, rock Pikmin are not immune to fire, as I learned pretty quickly when battling a certain kind of fire-breathing enemy type. However, when they do become flammable, their suffering is absolutely adorable. Fortunately, a quick whistle gets them back in order. While progressing through the days and collecting fruit, I learned that one of the most important tasks in the Story Mode is to simply collect fruit for survival, and that as long as you've collected enough fruit to make another bottle of juice to drink, you'll have another day of survival. This is Nintendo's way of making the game both accessible to newcomers to the series yet still challenging enough for more veteran players. Just as in previous iterations, the game progresses by days rather than strictly by levels, and even boss battles may get interrupted by the end of a given day. Fortunately, the damage you do to a boss carries over to the next day, where you can recall what Pikmin you have left and even find a way to propagate more before heading back out to battle again. Speaking of boss battles, that first battle with the armored centipede creature is both epic and incredibly challenging. The boss charges you and your Pikmin and causes them to go flying every which way. If the huge creature captures a flock of the little guys in his huge pincers, you need to move quick with some rock Pikmin to cause him to knock them all away. I lost a ton of my poor little red and rock Pikmin during the battle, but there was some consolation in watching the hilarity of it all in the overhead map replay mode on the GamePad that shows Pikmin represented as colored dots going wild around the equally manic boss with his own iconic representation. Eventually, I was able to smash enough of the boss' armored shell and throw my red Pikmin on his fleshy bits to take him down. His death was both satisfying and daintily terrible. I took a picture. 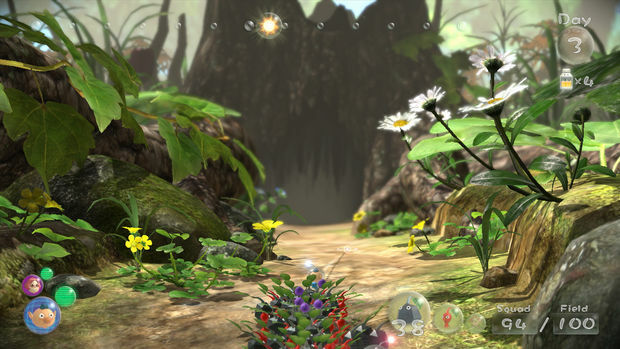 Beyond the actual gameplay, Pikmin 3 is rich with features that can be accessed via the Wii U GamePad. The in-game camera had to be one of the features that I had the most fun with during my playthrough. As you might remember, this camera function was featured on a Nintendo Direct at the beginning of the year. 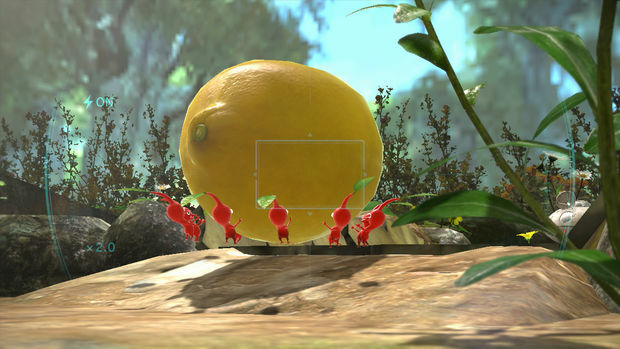 This camera is controlled entirely by the GamePad, and allows you to capture photos of your Pikmin in their natural environment (or anything else from your captain's perspective) and post and caption those photos in Miiverse. After taking several hilarious photos of the Pikmin acting quite smug in front of frightening creatures or just falling over in various precious poses, I could already see how much fun I'll be having with posting and captioning goofy photos to Miiverse when the game launches. Part of what makes taking pictures such a fun side diversion is the HD sheen and graphical capabilities that give the Pikmin so much more life and expression than they've ever had before. They lay around lazily, stand at attention, or just generally look like the cuddly little sentient plant beings they are. As my allotted playthrough time of Pikmin 3 neared its end, I wanted nothing more than to jump right back into my game and further explore the Story Mode. I wanted to attack harmless creatures like butterflies and larvae to further expand my species, aim for the whites of the eyes of my enemies, destroy as many mushrooms as possible, and send my Pikmin army before me to ravage the land. August 4th cannot come soon enough.